Sapphire is set to launch an AMD RX 570 graphics card with 16GB of memory for cryptocurrency miners of an obscure, Harry Potter based cryptocurrency: Grin. Founded by He Who Shall Not Be Named, Grin utilises the MimbleWimble blockchain technology and favours large pools of memory over processing power. I’m not exactly sure what’s happening to society, but apparently our next hope for decentralised currency was thought up by an anonymous spectre calling themselves ‘Tom Elvis Jedusor” – or canonically ‘Je suis Voldemort’ to you squibs and muggles. Despite the lunacy of it all, this privacy-centric, lightweight crypto looks to have convinced Sapphire’s VP of marketing, Adrian Thompson, that GPU mining is making a comeback in a big way. While the most well-known amalgamations of cryptocurrencies utilise a GPU’s brute compute power to get the job done, and mine precious rewards, Grin is a little different. While its Cuckatoo algorithm is still ASIC-friendly, that is, it will inevitable be scalable to large mining-machine farms, the Cuckaroo algorithm favours CPU and GPU mining. Seriously, you’re killing me here, miners. Cuckaroo?! Hence why Sapphire are supposedly launching an RX 570 with 16GB of memory, doubling the max 8GB spec for the card. 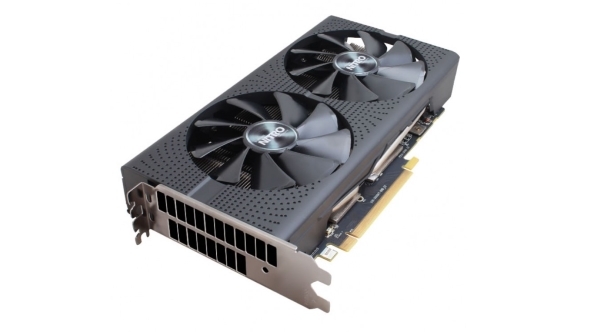 This mid-range GPU, in both RX 470 and RX 570 trim, was pretty popular back with miners the first time around, largely for its RX 580-like performance for cheap. But this time Sapphire’s specifically hoping to capture the Grin audience. Accessible as a crypto, maybe. But it does require some prerequisite knowledge of the Harry Potter universe or else some parts of the Grin ecosystem seem totally cuckoo. Mimblewimbles? Elvis? That bit in the white paper about renaming Wall Street to Diagon Alley? Okay, I admit I added in that last part, but it’s still pretty wild stuff. Despite a cryptomining boom reaching maximum fervour in late 2017, the antecedent cryptocurrency, Bitcoin, has been falling in value consistently ever since. It is now valued at $3,582. According to the Medium blog post, the Sapphire RX 570 16GB version will be released imminently. Sapphire’s Thompson also believes it will enter the market as a “veritable money printing machine”.